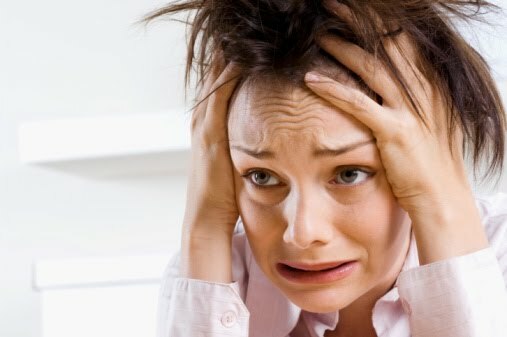 Anxiety affects about 40 million adults in the U.S alone, which is about 18% of the population. According to Patricia Pearson, author of A Brief History of Anxiety, we are living in an unnerving time. People are worried about employment, climate change and much more. Although anxiety disorders are treatable, only a third of those affected seek treatment. Still, people suffering from anxiety are 3-5 times more likely to seek professional attention and they are also 6 times more likely to be admitted in a treatment facility than those who don’t. Your brain chemistry seems to have an important role in causing anxiety. In many cases, persons suffering from anxiety disorders are prescribed with medication that alters brain chemicals. Neurotransmitters which regulate thoughts and feelings sometimes develop problems that cause a chemical imbalance within the brain. The two main neurotransmitters which are known to affect your feelings and thoughts are dopamine and serotonin. When there is an imbalance with these chemicals, the affected person will begin to experience anxiety and depression. Science also tells us that problems related to anxiety such as phobias, panic and stress may be due to an imbalance between the left and right brain hemispheres. There are positron emission tomography (PET) scans currently being undertaken to support this notion. Anxiety also may run in the family. Children of parents and close relatives who have had anxiety disorders are said to be at a higher risk of developing this disorder. An upbringing filled with fear and anxiety also may affect a person when he grows. This is because brain is trained to be anxious from an early age and this may affect members of the same family. However, this can be overcome with cognitive behavior therapy. Studies show that anxiety disorders are more common in people with alcohol problems. People especially with social anxiety disorder are 3 times more likely to have alcohol abuse problems. Abuse of alcohol also could contribute to an anxiety attack and disorder. People who abuse alcohol and have a social anxiety disorder tend to have a higher risk of developing severe anxiety symptoms, emotions and health problems. The combination of anxiety, alcohol and drugs is always dangerous, no matter which one starts first. Caffeine as you may already know is a stimulant and it is not advised to people suffering from anxiety disorders. The jittery effect that caffeine has on the body may lead to a frightening feeling and stimulating a ‘fight or flight’ response. Studies have shown that this worsens the anxiety and could even prompt an anxiety attack. Caffeine could lead to moody behavior, nervousness and sleeplessness. Weight loss supplements also may cause anxiety as a side effect. These products tend to have high amounts of caffeine, and a good example is guarana which is an ingredient in some over-the-counter dietary products. It contains twice the amount of caffeine found in regular coffee. Besides, look out for dietary supplements with ephedrine which could increase the heart rate and lead to anxiety. The thyroid gland is located at the neck front and it is the gland that is shaped like a butterfly. It produces thyroid hormones which are essential in regulating energy levels and your metabolism as well. If too much thyroid is produced, it could lead to symptoms like irritability, nervousness, sleeplessness and heart palpitations. If you have anxiety symptoms coupled with a neck swelling, weakness, weight loss, heat intolerance or fatigue, seek medical attention immediately. Personality traits also could cause anxiety. Children who are perfectionists, lack self-esteem or are easily flustered could develop anxiety as children or in their adult life. People are different and anxiety may be as a result of one or a combination of the above factors. It’s not always easy to identify the cause of anxiety or change the circumstances causing the anxiety. What you can do is recognize the problem and seek professional help. You will be surprised to learn that most of the stresses in your life can be eliminated. Avoid people and situations that stress you out. Evaluate your schedule; if you have too much to deal with, create a list of things you should do and must do. Identify the problem and change the way you react to prevent anxiety. You can choose to be more assertive, compromise, manage your time better or even express your feelings instead of sweeping them under the rug. If you cannot change the stress factor, adapt and take control. Adjust your expectations since perfectionism is one major contributor to stress. Choose to be positive and reframe the situation by having a more positive perspective. You cannot control the uncontrollable matters, so accept situations that are not within your control. Learn to cope with stressing situations by accepting them. Share your feelings, forgive and learn from stressful situations. Take some time out to relax and de-stress. This allows you to have a better perspective on life and you can handle stress better. Make sure that you do something that you enjoy every day and don’t let go of your sense of humor. A well-nourished body is in a better situation to handle stress, so make sure that you eat healthy. Exercise is also a good stress reliever.